The most renowned Uyghur intellectual in the People’s Republic of China, the Unrepresented Nations and Peoples Organization (UNPO), the World Uyghur Congress (WUC) and Norwegian Uyghur Committee (NUK) have nominated Ilham Tohti for the Rafto Prize. With the completion of five years of his arrest, the organisations believe his peaceful trajectory in defense of the freedom and fully enjoyment of human rights by the Uyghur population in China is deserving of this most prestigious prize. In recognition for his tireless work in raising the human rights concerns of the Uyghur people and for promoting peaceful interethnic dialogue in China, the World Uyghur Congress (WUC), the Unrepresented Nations and Peoples Organisation (UNPO) and Norwegian Uyghur Committee (NUK) have nominated Uyghur scholar Ilham Tohti for the Rafto Prize. The Rafto Prize is awarded annually to recognize the work of human rights defenders and to shed light on serious human rights violations. Ilham Tohti served as a professor of economics at Minzu University in Beijing where he specialized in research focused on Uyghur-Han relations, China’s ethnic policies and East Turkistan. Alongside his scholarship and teaching, Ilham is revered for establishing and maintaining Uyghur Online, a website dedicated to promoting Uyghur human rights and improved relations between Uyghur and Han Chinese people. Professor Tohti criticised oppressive policies against Uyghurs and wrote extensively on constructive approaches to overcome unequal treatment between ethnic groups. Notably, he called for dialogue and reconciliation, using his web platform as the primary vehicle. The WUC,the UNPO and the NUK encourage scholars and organisations to join in nominating Ilham Tohti for this prestigious award. The nomination form is short, only requiring basic information that can be filled out without a lengthily time commitment. The deadline for nominations is Friday, February 1st. 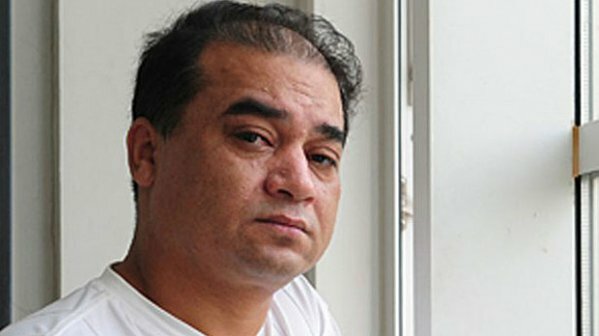 Nominating Ilham Tohti for the Rafto Prize would help to keep his case in the public’s attention and raise further awareness of the human rights crisis in East Turkistan more generally.